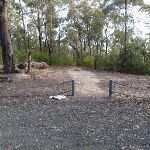 From the car park, the walk heads through the cable opening in the low fence, and follows the clear sandy path past the rocky outcrop, on the left. 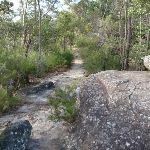 The track winds for a short time to come around a rock outcrop with a pole (without a sign) marking the intersection, on the right. 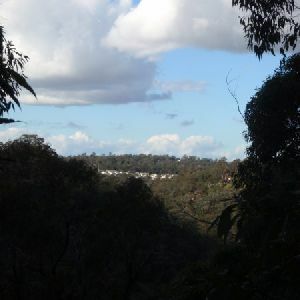 Veer left: From the intersection, the walk heads across the hillside, keeping the valley and view to the right. 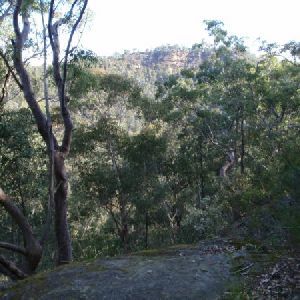 The track continues to soon lead out to the unfenced rock platform that forms Martin’s Lookout. 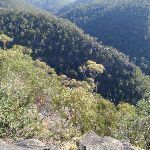 Martin’s Lookout is an unfenced view on the rim of the plateau, south of Valley Heights. 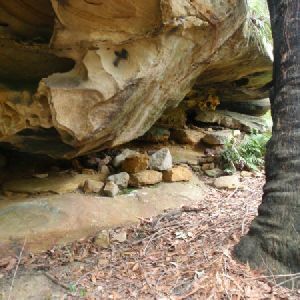 There are views across and up the Glenbrook Creek, and to the Lost Worlds lookout (on the opposite cliffs) which features a small white crucifix. 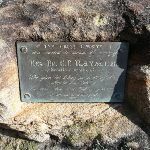 This cross is in memory of Rev. 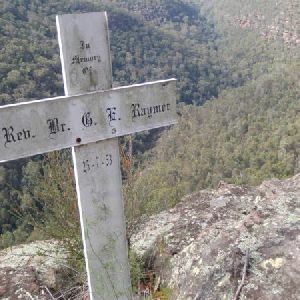 Raymer who was an avid bushwalker in the area. 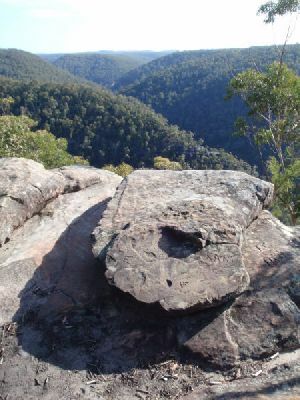 The plaque in the rock at Martin’s Lookout is directly opposite this cross. 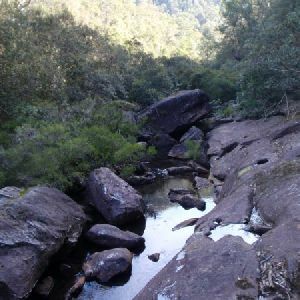 Around 60m of this walk has gentle hills with occasional steps, whilst the remaining 30m has short steep hills. 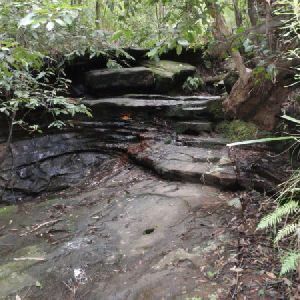 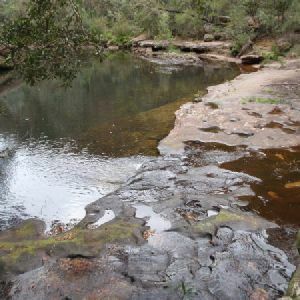 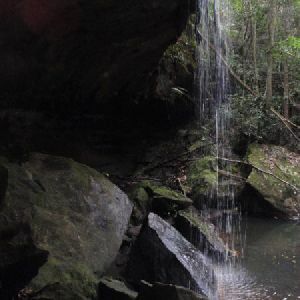 Around 60m of this walk follows a clear and well formed track or trail, whilst the remaining 30m follows a formed track, with some branches and other obstacles. 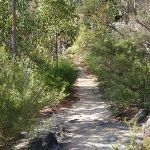 Around 60m of this walk is clearly signposted, whilst the remaining 30m has directional signs at most intersection. 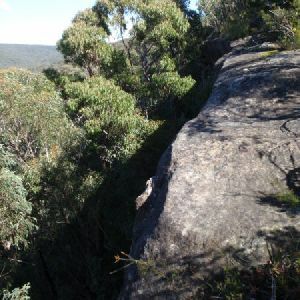 Around 60m of this walk is close to useful facilities (such as fenced cliffs and seats), whilst the remaining 30m has limited facilities (such as not all cliffs fenced). 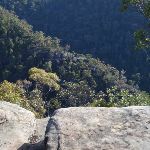 A list of walks that share part of the track with the Martin’s Lookout walk. 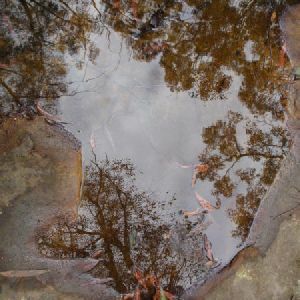 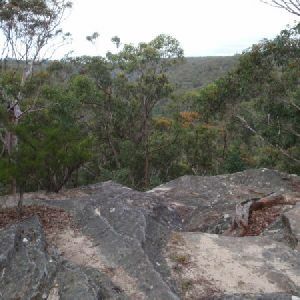 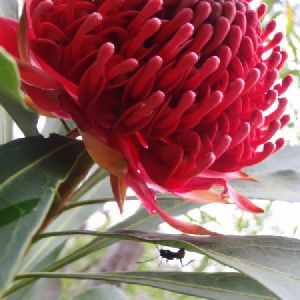 A list of walks that start near the Martin’s Lookout walk. 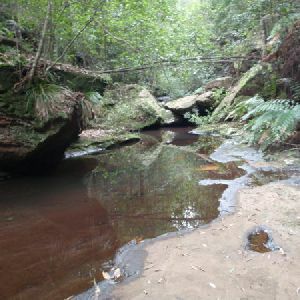 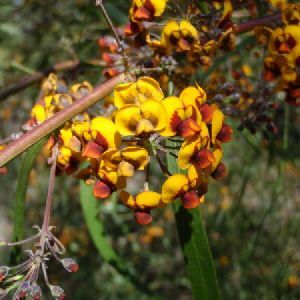 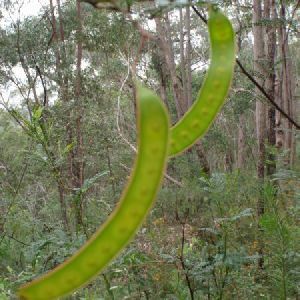 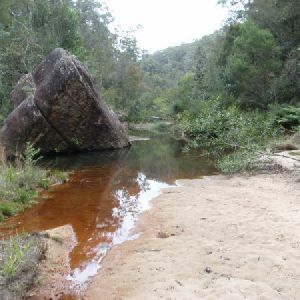 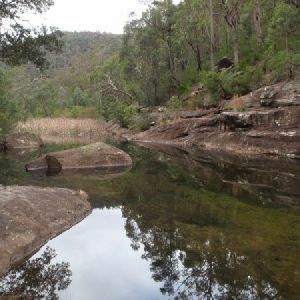 http://new.wildwalks.com/wildwalks_custom/includes/walk_fire_danger.php?walkid=nsw-bmnp-ml Each park may have its own fire ban, this rating is only valid for today and is based on information from the RFS Please check the RFS Website for more information.